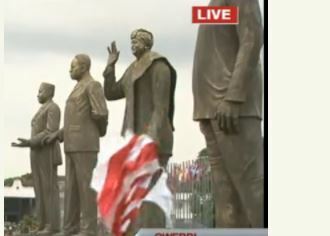 Imo state governor, Rochas Okorocha, has explained why he recentlty embarked on building statues of some African leaders in his state. "To immortalize people so our children yet unborn can read a piece of them. History is dying in Africa. We must keep history alive. In the next 100 years to come, most of us will not be here but this will stand for children to read stories and mold their character. If leaders are not mortalized, there will not be history for children yet unborn'. 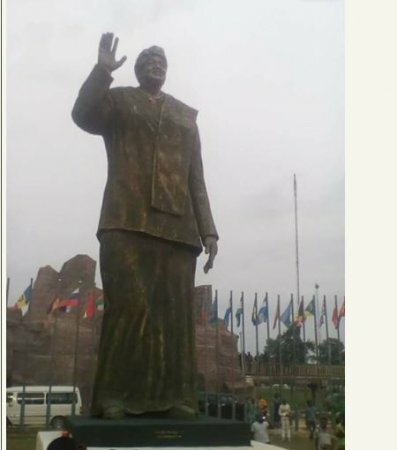 Despite being heavily criticized for mounting Jacob Zuma's statue in the state capital, Owerri, Governor Rochas Okorocha unveiled the statue of Johnson Sirleaf, the Liberia President. 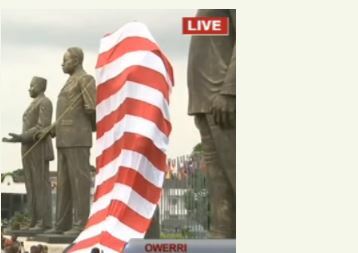 Sirleaf was also given a chieftaincy title and a road was named after her in Owerri the capital city of Imo state.